TCP/IP computer networks use both the IP addresses and MAC addresses of connected client devices. While the IP address changes over time, the MAC address of a network adapter always stays the same. There are several reasons you might want to know the MAC address of a remote computer, and it's easy to do by using a command line utility such as Command Prompt in Windows. A single device can possess multiple network interfaces and MAC addresses. A laptop computer with Ethernet, Wi-Fi, and Bluetooth connections, for example, has two or sometimes three MAC addresses associated with it, one for each physical network device. Why to Figure Out a MAC Address? To set up MAC address filtering on a router to restrict local network access to only those devices whose addresses match a list of presets. To determine the device's manufacturer (first half of the address) and serial number (second half of the address) for service. To masquerade (spoof) the identity of a different device. MAC addressing spoofing can be used legitimately to register a home network gateway device with an internet provider. It can also have malicious intent, such as to defeat the MAC address filtering feature to break into the network. It isn't usually possible to look up MAC addresses for devices that are outside a person's physical reach. 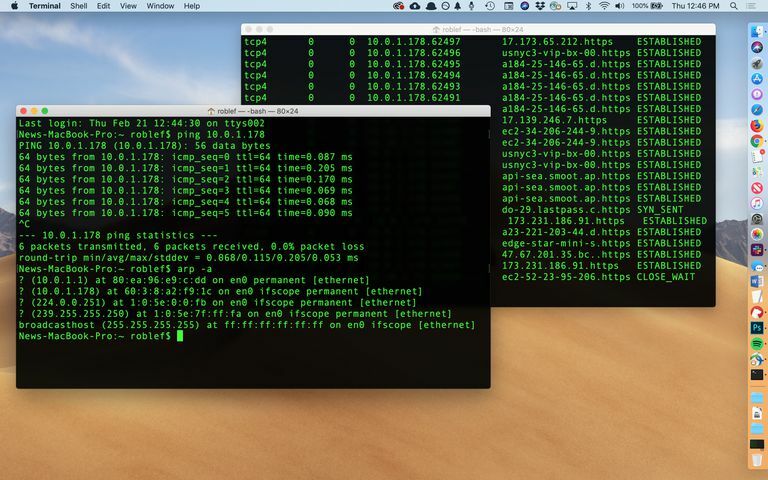 It often isn't possible to determine the MAC address of a computer from its IP address alone because these two addresses originate from different sources. A computer's hardware configuration determines its MAC address, while the configuration of the network it is connected to determines its IP address. However, if the computers are connected to the same TCP/IP network, you can determine the MAC address through a technology called ARP (Address Resolution Protocol), which is included with TCP/IP. Using ARP, each local network interface tracks both the IP address and MAC address for each device it has recently communicated with. Most computers let you see this list of addresses that ARP has collected. In Windows, Linux, and other operating systems, the command line utility arp shows local MAC address information stored in the ARP cache. However, it only works within the small group of computers on a local area network (LAN), not across the internet. There's another method used to find the MAC address of the computer you're currently using, which involves using the ipconfig /all command in Windows. ARP is intended to be used by system administrators and is not a typically useful way to track down computers and people on the internet. You will want to use a local address, so if your network is 10.0.1.x, then use that number to ping, as in the image below. Find the device's IP address in the list; the MAC address is shown right next to it. In this example, the IP address is 192.168.86.45 and its MAC address is 98-90-96-B9-9D-61 (they're in bold here only for emphasis).